I should just title this, The Three Best Ingredients Ever. Because that’s what’s happening here. 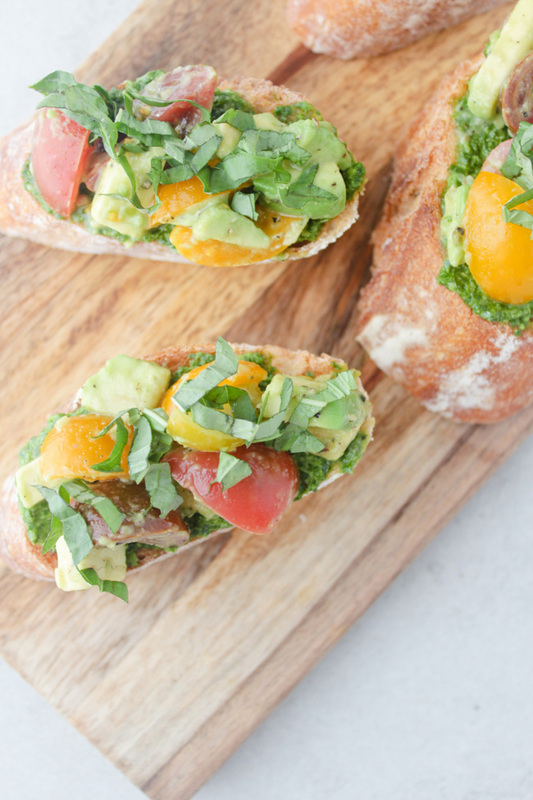 Heirloom tomatoes, avocado and bread? Um, yes please. Oh and pesto! So maybe the four best ingredients ever combined. I’ve never been one who wakes up every Sunday morning and attends my local farmer’s market. Don’t get me wrong, I love a good farmer’s market trip, but for me it’s more of an excursion to get brunch from food trucks, grab fresh flowers wrapped in newspaper, and peruse artisan olive oil than an errand to buy groceries for the week. 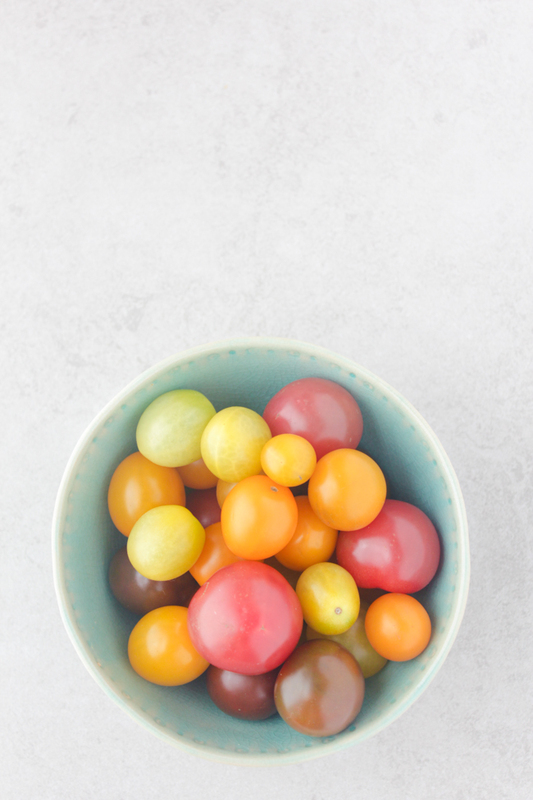 Although fresh produce at farmer’s markets is amazing, it’s generally pretty expensive so I reserve my purchases for only certain items that I feel are really special, which brings me to heirloom tomatoes. 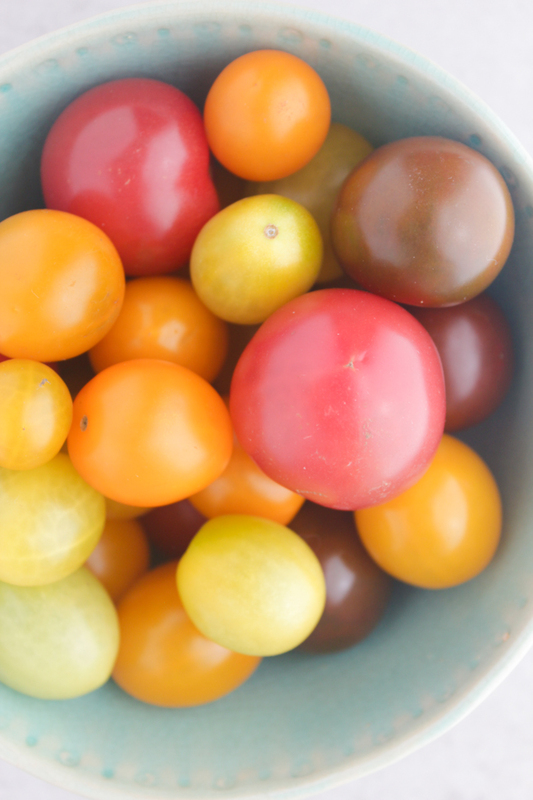 BBQ and popsicles and fresh cantaloupe are nice, but what I really look forward to when summer rolls around is heirloom tomatoes. They’re a bit of a cheap trick because you can do next to nothing to them and they’ll still taste absolutely incredible. But on the flip side, that also means that if you go the extra mile they’re really out of this world -> Oh, hello avocado, pesto and fresh baguette. This bruschetta has got to be one of the most delicious and festive appetizers or snacks you’ll encounter this season. 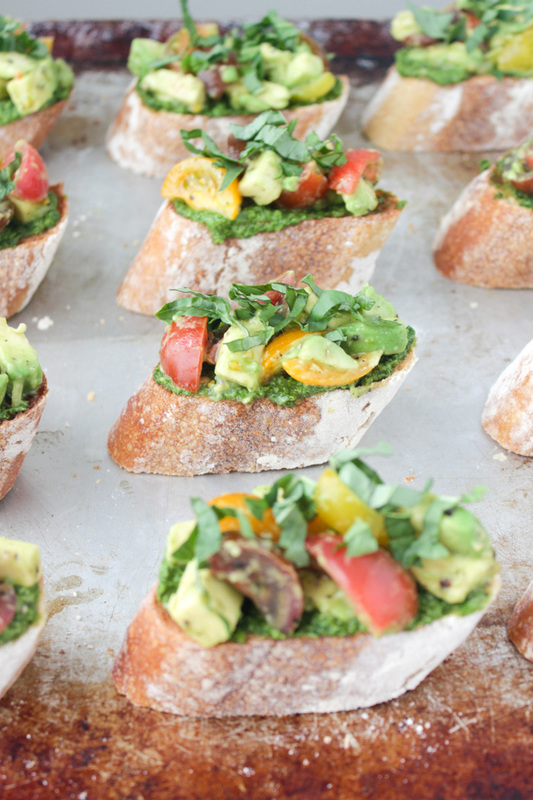 You’ll start by toasting the bread, then smearing on the bright basil pesto and finish by topping it with the creamy avocado and tangy tomatoes. 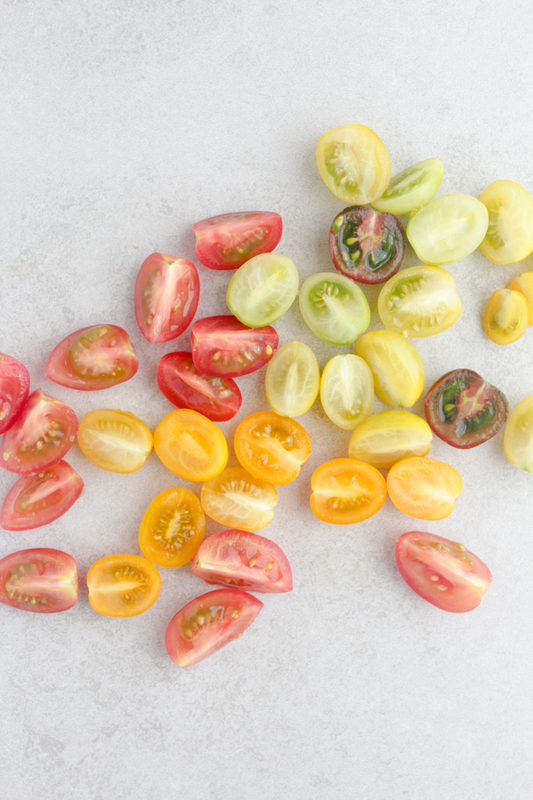 I used heirloom cherry tomatoes because I couldn’t resist how cute they were when I found them (and later aired my obsession on Instagram), but you can use larger heirloom tomatoes if you’d like and just chop them up. 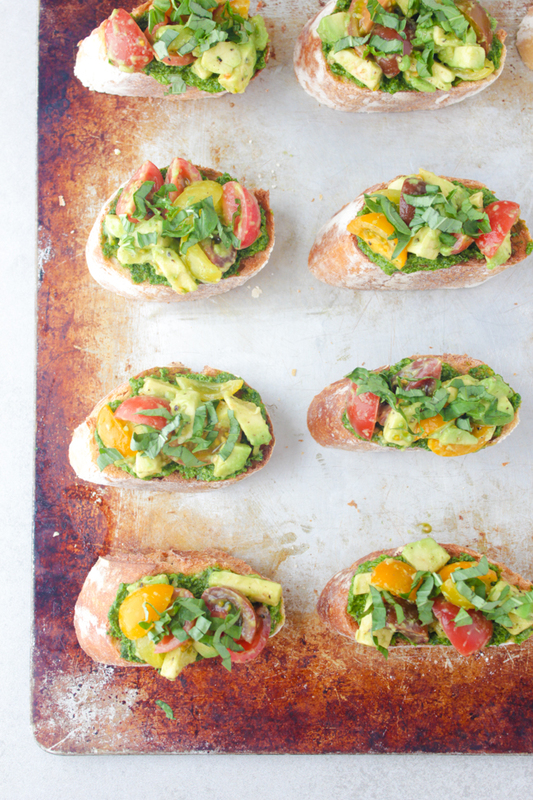 Either way, this bruschetta is a total crowd pleaser and the best way to utilize one of the most delicious treats of summer. And don't forget to enter the giveaway to win Vega Sport protein powder! A winner will be chosen this Friday. 1. Add all pesto ingredients plus salt and pepper to a food processor and whiz until smooth. 2. 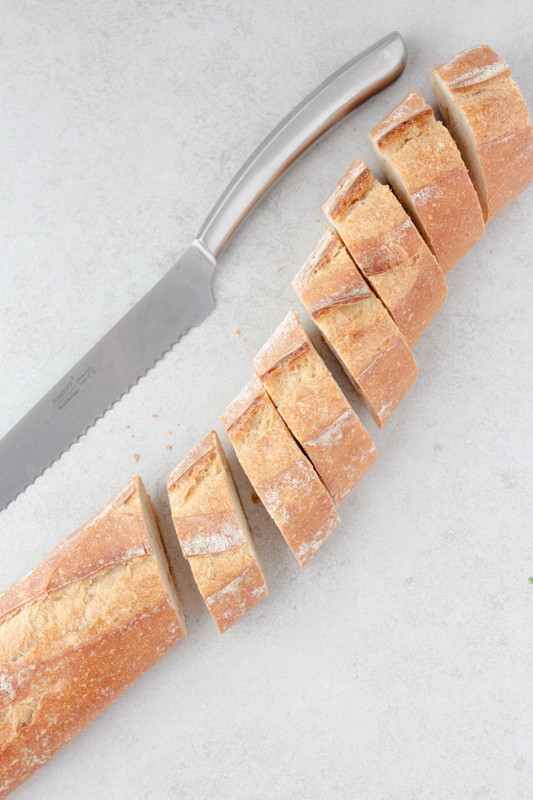 Toast the baguette rounds under the broiler (flipping midway) until both sides are golden brown. 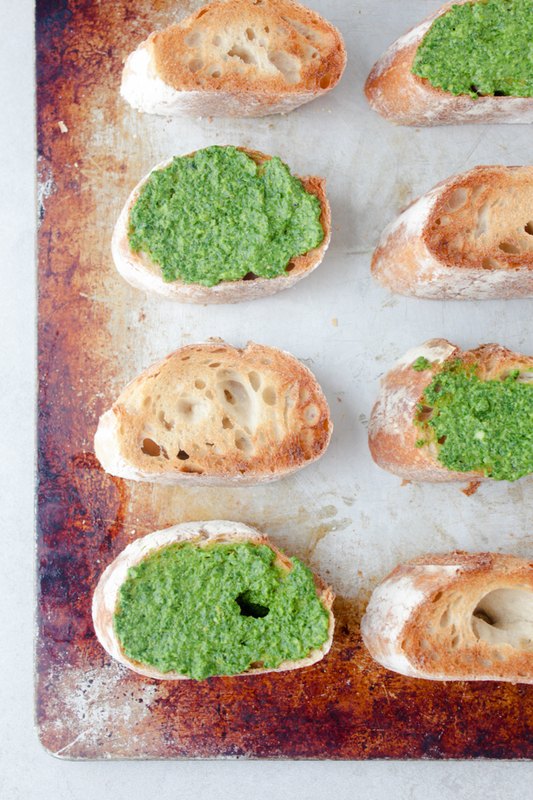 Remove from the oven and spread each round with pesto on one side. 3. Add tomatoes, avocado, salt and pepper to a large bowl and mix together. 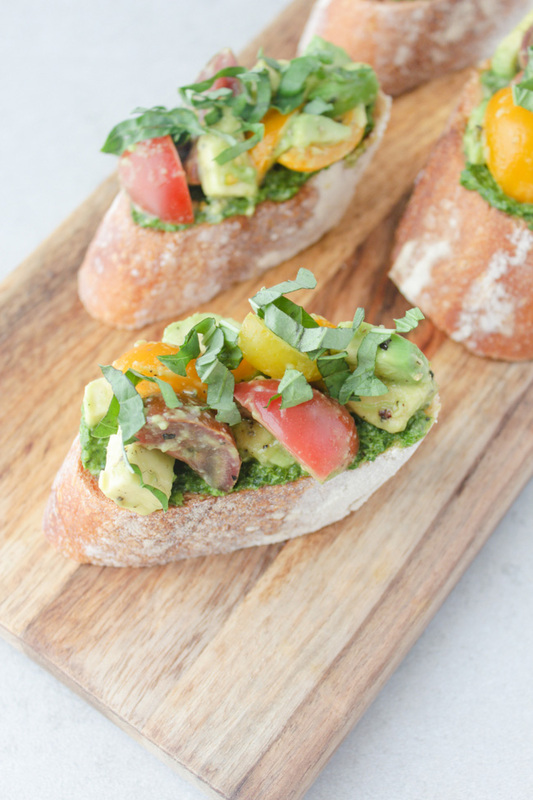 Top the baguette rounds with the tomato-avocado mixture. Julienne the remaining basil and sprinkle atop the bruschetta. Serve immediately. 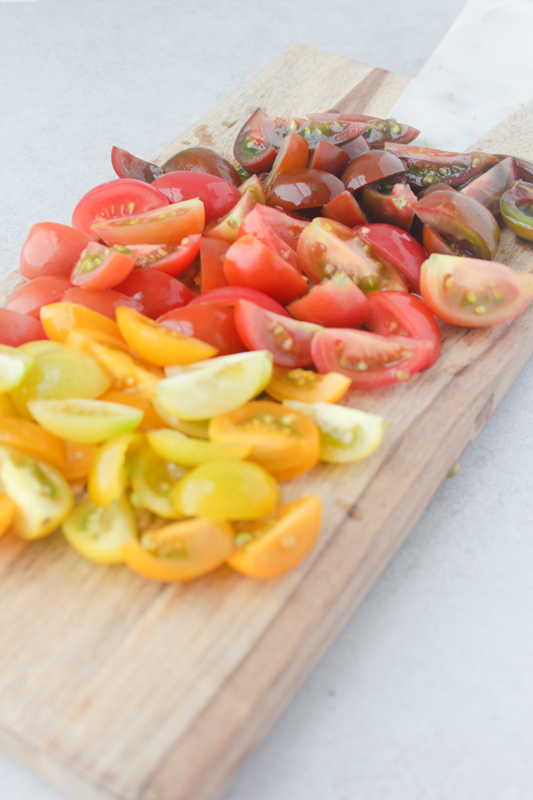 Looks delicious, love the different tomato variety! First of all: I love the pictures! It is so perfectly illustrated and it looks like from a magazine! Therefore: well done! And the Bruschetta looks so delicious and is absolutely after my taste! I will definitely try this one too especially as I love all ingredients! Have an awesome week my dear, lotsa luv. What sorcery is this?! THIS RECIPE IS ABSOLUTELY MOUTH WATERING!! Holy mole. Thank you, thank you, thank you for sharing!! Haha oh my gosh this made me laugh, you are so sweet! I hope you make the recipe and love it as much as I do!